Since the start of the new year we have had snow,rain and gale force winds. In spite of this, I have managed to average 150mls per week. This Wednesday it started off raining by twelve noon it had stopped, still windy but now sunny so off for my run to the coast, a great ride dry roads not much traffic great. Thursday sunny morning, clouded over a bit so out for another ride, after ten miles started raining, well I'm out now no problem, then I run into a thunder storm, and it pelted down. The water was running off my arms and into my gloves. I could just abut see through my visor,but I knew the road. When I got home everything was wet through. When I dried off I thought well i know it might seem strange but, I really enjoyed that ride! If I have to explain then you don't understand. Last week comprised of ice and a little snow till Wednesday night when about 200mm (8" for those still going imperial) landed. This week has just been dark, wet and cold. Neither the bike or scootie has wanted to come out of a nice warm garage where they are taking turns on the optimate. Yes, there's been a little bit of everything thrown at us this year, snow here and over in Cheshire last weekend at a family get together, lots of heavy rain and currently the River Ouse is flooding a bit in York. I've just supplemented my Keis heated jacket with a pair of Keis heated inner gloves, and wearing some of my base and intermediate layers that came in very handy when I was in Iceland last month. I still haven't had a decent run out since the New Year because my daily routine includes cycling to and from morning gym classes five days a week whatever the weather, and getting home late morning or lunchtime. 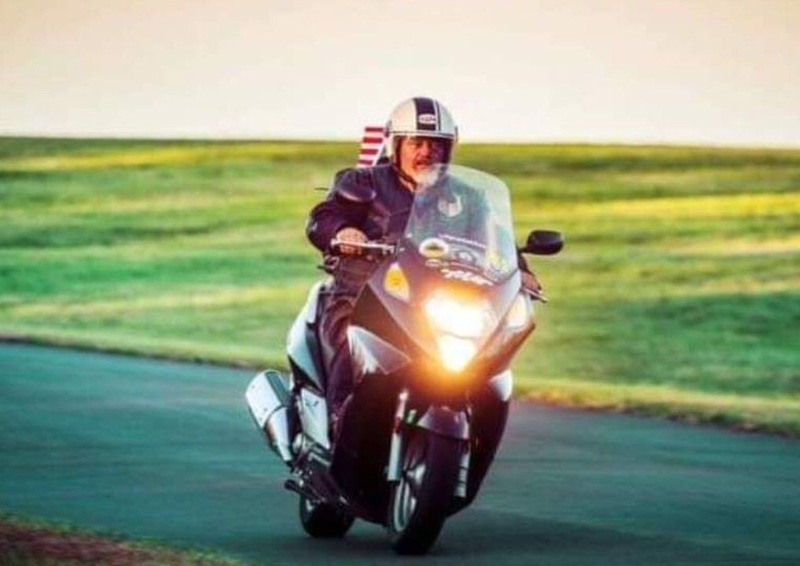 Then I'm more inclined to have a bit of lunch and like the Donald have some 'executive time', rather than suit up and go out for a ride for the remainder of a short day unless I have a particular destination in mind. My benchmark pie this year has been the excellent Steak & Kidney from the Swan Hotel in Tarporley, and that was over the wrong side of the Pennines in Cheshire. So I'll have to see if I can better it here in North Yorkshire. Secret to winter riding-----is have the right/warm/dry gear. Having lived and ridden in Germany (year 'round)---got plenty of bad/cold weather exposure.Still do not totally have the winter glove/mitt problem totally figured out. Hope my next bike/scooter has proper hand shielding and OEM heated grips. Dry/warm feet figured out years ago.....rubber overboots, think called Overshoes in some parts of US. Think there are two problems in US on winter riding #1 most riders do not have proper gear #2 most people do not consider bikes as everyday transport. It still can be fun. In 2 or 3 weeks planing ride to California, Staying south! One place I always seem to run into snow is Flagstaff AZ. You don't need rubber over boots when your feet are inboard on the Silver Wing, and plenty of riding boots have a waterproof, breathable membrane. I've worn basic non waterproo Hi-Tech Magnums for years, I've ridden in heavy rain plenty of times and never had wet feet. I carried a pair of Tingley rubber over boots around for years because I'd read they were useful and they were a waste of time. Stopping to pull rubber boots over a damp pair of leather boots is as difficult trying to put rubber gloves on sweaty hands, or pulling a nylon rain suit over textile or leather at the start of a downpour. Agree on the Tingley as pain to put on....and real pain to get off Aerostich Combat Lite boots---I carry them as they really work when I have all day ride in rain/snow/cold. But I found I still needed them on scooter, too for all day in the wet. One solution I had (thinking about replacing) Wolverine Waterproof Wellingtons----they worked on all weathers (finally wore out). May order another pair for this year's planned riding/trip---saves carrying the rubber boots. Learned another tip on top jackets----they need to be slippery lined for ease of getting on with, in my case down jacket under. Had 2 Aero Roadcrafter one piece suits(lined) and one Roadcrafter two piece suits. Never had no problem staying warm But unlined Darien Jacket, unlined....and in my opinion that you wear under does not slip on as easy---Darien I have gotten cold. When I ride at this time of year I normally wear base layer, windproof layer,heated keis vest and outer layer of jacket and trousers. I have heated handlebar grips, and put handlebar mitts on. Anyone in the UK knows you will get wet this time of year, my point really is no matter what the weather the joy of riding is the most important thing, I hope it never leaves me. Meldrew, did you really cycle to Cheshire, for a pie?. I walk about a mile very morning over the country lanes and do my own exercises ,so, I don't need a gym. No mate, we had a big family get together last weekend over in Cheshire for Mrs M's birthday. The weather over that side of the Pennines was of course rubbish, just as it was when we were over in Cumbria last November. I've found out since we changed gyms a few months ago, the routine I do now works well for me. Pedalling that Dutch push bike along the route I take increases my heart rate, and I get that important daily cardio without the mind numbing tedium of a treadmill or exercise bike in the gym, walking doesn't do that. I got bored doing the weight machines too, so I now do a daily water aerobics class in a swimming pool full of ladies ( I'm the eye candy! ) and I enjoy the exercises. I'd recommended riders with knackered knees and hips to exercise this way as there's less strain on the joints exercising in water. Then a bit of time in the steam room, shower and change and then bike home. Strange as it seems, rain wind frost and the odd bit of snow are less hassle riding a push bike and I'm trussed up in far less gear than on the Honda. Other than that it's just another winter. Yes, Mildrew, I agree: The pedal/push bike is so much less stress on the joints than walking, and sooo much less tedious than a "dreadmill." I agree with your all-season bicycle riding, except for the snow. My peddalar doesn't seem to want to stay upright in the snow. I have had some very bad spills on that stuff. And watch out in a cold rain where the temp is just above freezing. You WILL get temp changes enough on a bike too create black ice on an otherwise seemingly wet pavement. I was given no warning and no mercy on that spill. Many who have had those kinds of spills are not alive to post their cautionary tales in this forum. Ah, but alas, I do envy your proximity to a swimming pool--one of the best exercise opportunities available--great aerobics and muscle maintenance without the joint stress. And your being eye candy for all those babes is icing on the cake. Agreed. Somehow, I never had a frozen toe problem on my motorcycles, and the Swing is really great at protecting feet. I don't think I'll ever need extra cover (except for rain) over my 45-year-old leather Mason hunting boots (Chippewa Falls, WI). This morning, I found a riding window of dry, cold (23 degrees F) weather to keep the Swing loose. The 14 mile 40-60 mph ride to the archery club wasn't bad at all, maybe because riding the Swing was so much fun. Fingers didn't fall off because my great winter gloves (https://www.leatherup.com/p/Mens-Xelement-Leather-Gloves/Xelement-XG1227-Gauntlet-Mens-Black-Leather-Gloves-with-Rain-Cover-and-Long-Cuff/13195105.html?gclid=EAIaIQobChMIwKKwsMr52AIVxx2BCh1O4gsKEAQYAyABEgLYZfD_BwE) with the INCLUDED mitten covers (all for only $19.95!) kept the fingers reasonably warm for that temperature. I wouldn't have done the trip in my leather jacket. I think that's why so many Harley riders park their beasts late September because they wouldn't be seen without their black leathers, but there are so many warm options out there. I started with my polyester hunting jacket, armored mesh sport jacket over that, and a nylon/polyester windbreaker shell topped it off. Sometimes I resemble the Pillsbury Doughboy, but I will say this over and over: That one half ounce nylon/poly shell is worth two three-pound leather jackets.